Ann-Marie Anderson is the owner of Ideal Exercise, a recognized leader in slow high intensity strength training since 1994. Their private, by appointment, training facilities in Seattle and Bellevue, provide an ideal environment for their expert instructors to guide you through a weekly one-on-one workout. The Ideal Exercise training protocol efficiently achieves measurable results while emphasizing safety! Both Ann-Marie Anderson and her late husband, Greg Anderson, are legendary in high intensity strength training. They have refined their protocol to be so efficient that most clients train just 3 times per month for 10-12 minutes per session! (~40 workouts a year). Many of their clients have been training at Ideal Exercise for over 20 years. Today marks the 6th year anniversary of Greg Anderson’s passing. In memory of Greg, I’ve tried to create a central hub for every video, podcast, and article I could find. If I missed any resource, please leave a comment below with a link to the content. Very nice interview! Ann-Marrie is a very knowledgeable and well respected HIT trainer with tons of exerience. I’ve personally talked with several of the top HIT trainers out there and Ann-Marrie and Greg always seemed to come up as the best in the business. I clearly remember the shock when Greg passed; He was a big loss. I wish Ann-Marrie the best with her training certification efforts. — While discussing exercise protocol, she suggested that her clients almost always make progress at every training session. Yet she has a decent number of clients who have been with her for 20+ years. Does she really have a lot of clients have made progress after almost every session, for 20 years straight? That would be amazing. — She stated that “draining your glycogen stores once a week with 3 to 4 exercises” is all you need to maintain insulin sensitivity. I have doubts about this. I don’t think you can burn enough calories to significantly dent your glycogen stores with only 10 minutes of exercise, even if quite intense. What you likely will do is deplete glycogen stores that are local to the muscles that were worked hard. Lots of glycogen will be available elsewhere (like in the liver). That exercise session will improve insulin sensitivity for some period after the workout. But it seems unlikely that the protective effect would last 7 to 10 days, since the local stores of glycogen should be replenished long before that (assuming adequate protein and carbohydrate intake). — Regarding the comments about cancer and heart disease: to the extent that strength training is part of a healthy lifestyle, it should reduce the risk of either disease. But I think HIT advocates need to be cautious about overselling the extent of the protection that is provided, and should be cautious about using N=1 anecdotes to sell the disease prevention benefits of HIT. — Specifically on the matter of heart disease: she says she has many clients that have perfect cardiovascular health. How does she know this? Even if it is true, how much is due to the mode of exercise and how much is due to other factors, like genetics, diet, etc. If I understood her explanation of Greg Anderson’s death, it was from coronary artery disease. That is anecdotal evidence that exercise alone, even HIT, does not ensure cardiovascular health. — Specifically with regard to cancer: There are studies which have concluded that up to two-thirds of cancers are the result of randomly occurring mutations. Since you tend to accumulate mutations over the course of your life, your cancer risk rises with age. Cancer thus tends to be a disease of older people (though you can be unlucky and get it earlier). To the extent that her clientele is getting older, she is going to see more cases. Has greater environmental exposure to toxins increased the rate of mutations, and thus the rate of cancer? It seems a reasonable hypothesis, but probably hard to prove it. I didn’t hear Anne-Marie say that exercise alone prevents illness and other factors clearly come into play . Mr Anderson’s death simply proves that he was human and afflictions can affect anyone HIT or not . It also takes quite a bit longer to fully restore muscle & liver glycogen then people think and the liver can apparently hold a very significant amount of glycogen , so it would take some time to refill it . If anything has been oversold to the public it’s the notion that frequent bouts of low intensity/steady state movement has many health benefits . It may have some benefits but those can be attained with intense exercise without the wear & tear of steady state exercise . That’s basically exactly the comment I wanted to leave myself…perfectly put. I’d really like to know more about glycogen in particular. Lawrence, I’d love to hear from an expert in the field, spelling out the hard facts and dispelling myths. Please make it happen! Ann-Marie seems like a wonderful person may I add. Great interview. Thank you Andrew. Would you like to hear from Ben Bickman PhD? There’s a lot I’d like to ask Ben yes! Great comment Greg. Very thought provoking, thank you. Really enjoyed this one ! Ann-Marie was great , very jovial and knowledgeable at the same time . And yet again we hear more proof that short High effort bouts of exercise provide the body with many benefits along with cardio benefits despite what some may think . It’s also interesting with regard to the issue of calcium formation in the body and one of the main criticisms with the Paleo/Primal diet , is that high protein/high fat consumption can make the body very acidic . The body as a defense mechanism against this will pull calcium out of the bones to buffer the acid that’s being produced . As for all the aerobics/cardio that many advocate and do you’ve got to take into account and many don’t , the cumulative stress/wear & tear that such activities will produce . Especially when all the benefits of exercise can be achieved without incurring the damage that steady-state activities will produce . No diet causes the body to become “very acidic” you keep repeating this nonsense. Diabetic ketoacidosis is a real condition that is often conflated with the effects of a ketogenic diet, maybe that’s where your confusion is coming from? I’m not repeating nonsense . High protein & fat consumption tends to create ( maybe not with all but many ) an over-acidic environment in the body . The example that i gave about the body pulling calcium from the bones which can cause osteoporosis . It’s long been known that eating in this way can lead to health problems and if you doubt that go look into it for yourself . There are many resources you can read on this . Yes I’m familiar with that hypothesis, let’s see what an expert has to say on the matter: https://m.facebook.com/SMPPh.D/posts/879553312067619 unfortunately FB doesn’t seem to want me to quote its content from my mobile, suffice to say Stu Phillips disagrees with your views. Look at it this way, if I were to be walking around with my blood at the wrong PH I would get very sick very quickly, metabolic acidosis is dangerous. Of all the angles you could attack high protein consumption from the “ash acid” angle is the weakest. I think that relying on the opinions/views of ” experts ” may be mistaken as they’re at the end of the day human , and therefore susceptible to biases/preconceived notions just like us all . As i’ve said before i find it mind boggling that people would think that consuming the flesh of other creatures and the byproducts of them would be healthy !? It just seems logical/sensible to me that consuming starch/veg/fruit would be the healthiest option . Are you actually irony proof? I literally can not believe you typed that first point in earnest. As for your opinions on meat consumption you are very much in the miniority. Why is it logical to assume that eschewing foodstuffs that we have consumed for literally tens of thousands of years is the healthiest option? Just eat a balanced whole foods diet and exercise, you don’t need to rationalise your personal opinions or present them as “facts”. Irony proof ?! I’m simply saying that people ( even so called experts ) are human beings and as such have biases & preconceived notions that’s all . My ” opinions ” as you call them about meat are far from in the minority and even if they were that wouldn’t make them wrong . Truth isn’t a popularity contest ! And proffering a theory such as evolution to justify consuming meat in my view is a little silly . Again you can eat whatever you want and i’m not telling you nor anyone else what they should eat . You’ve considered that you might be a biased human with preconceived notions too, right? Experts aren’t always right, and the current scientific consensus is subject to change but that doesn’t make you correct. Your opinion is wrong, meat doesn’t “acidify” the body. The over consumption of animal products correlate to certain negative health outcomes yes that is true but that’s not what you are arguing. I’m not taking necessarily about evolution, just saying that we’ve been eating animals for at least 100,000 years and almost zero population groups eschew this supposed “poison”. I don’t mean to poison the well so to speak but are you a Seventh Day Adventist? I know for a fact that when i consume a lot of meat and or consume high levels of protein i get highly acidic . As evidenced by heartburn & stomach issues even joint pain ! People i personally know have experienced these things along with other effects as well . And when they eliminated or reduced their meat/diary intake they all felt better & myself as well . Scientific consensus doesn’t make for truth and ” science ” isn’t the bastion of truth either . You say we’ve been eating animals for hundreds of thousands of years , are you certain of that ?! And lets for arguments sake say you’re right , does that justify/rationalize the consumption of other creatures ?! You say my opinion is wrong ! Really ?! What makes my ” opinions ” wrong and yours correct ?! An opinion is simply a baseless assertion so no one’s opinion can be right . And no i’m not a Seventh Day Adventist nor do i have any religious affiliation . Science is the tool that allows humans to find out the truth, your personal interpretation of the world may have little relation to reality. I’m not saying my opinion is correct, I’m weighing up the evidence presented by the scientific community and I find it convincing, you are telling us that your own inexpert opinion trumps that somehow. Yes, it appears that hominids have been eating meat for 2.6 MILLION YEARS https://www.nature.com/scitable/knowledge/library/evidence-for-meat-eating-by-early-humans-103874273 that does indeed make it part of human nature. I’m not talking about ethics or the environmental arguments before you go moving the goal posts. As for your personal experience and that of “others”, these are just ANECDOTES you need to understand how to think critically. The fact that you sometimes suffer from heartburn and “joint issues” doesn’t support your claim at all. Heartburn and “joint pain” do not equal “meat acidifies the body” I really don’t know where to start unpacking that statement. You need to understand all the factors that contribute to the supposed conditions, you need to understand things like the nocebo effect, regression to the mean, desirable outcome bias, confirmation bias, post hoc reasoning. You need to understand interindividual variation. You need to wonder why so many people claim exactly the same alleviating effects of radically different dietary interventions: carnivore, raw vegan, high fibre, low carb, fruitarian and so on. What makes you right and them all wrong? Can you all be right? Why? Figure all that out, and then come back and tell me you are right. Well if my not being an ” expert ” is grounds for nothing that i say being valid/true then nobody ( including yourself ) on that basis is qualified to say anything about anything except for ” experts ” i suppose ! As i already stated ” science ” isn’t the bastion of truth despite many thinking otherwise . That doesn’t mean that there’s no truth within the realm of science but to assume that science/truth are joined at the hip is absurd . The scientific establishment is subject to corruption/evil just like anything else so one must be cautious/vigilant about the information that is being disseminated . Science simply means knowledge and knowledge is only acquired one way through experience/practical application . Study is one thing but practical knowledge through application is another . No, that’s a strawman. I didn’t say you were wrong because you weren’t an expert I said you were wrong because the weight of archeological and medical evidence says you are wrong. Of course you can be a layman and still correct but that doesn’t make you personally correct. It’s utterly absurd that you don’t understand this. Who do you go to for your information? Just people that you agree with or do you only trust your own experience? I wouldn’t be surprised to find that you generally accept everything presented to you about the world by science and experts….except the things that don’t confirm your biases. Science isn’t truth but the scientific method allows us to find out as close to the truth as possible. Science is sometimes wrong, yes but it’s always open to correction given new data. You have no idea what you are talking about. Please read up on how scientific consensus are reached, how they can change over time and how the scientific method actually works, not how you imagine it works. Please read up on why anecdotal evidence and self reporting is so unreliable and why combining that with a study size of one makes a individual’s opinion meaningless. While you’re doing that, find me a credible source for meat “acidifying” the body and define what that actually means. Find me a credible source that says meat was not consumed by humans over many many thousands of years. Maybe also tell me my increase in relative risk of all cause mortality by eating meat as opposed to a vegan diet, don’t cherry pick remember! Your totally contradicting yourself . First you say that you didn’t say i was wrong because i wasn’t an expert but because the weight of archeological & medical evidence says i’m wrong . Who exactly makes up this weight of evidence your referring to ? EXPERTS . And you did insinuate in your previous comment that why should anyone take me as a layman and what i say to be true/valid . Then you say that i as a layman can be correct but not ” personally ” correct ! That’s pure claptrap & doublespeak ! As to whether i rely on personal experience or the information of others it’s not an either or proposition . Of course one should listen to read and consider what others say but ultimately one must decide for one’s self ! You say that self reporting and ” anecdotal ” evidence is meaningless because people will be deceptive on what they’re reporting which is true in some cases . But guess what , the scientific establishment is also capable of deception/lies as well . I’m well aware of the scientific method and how it’s supposed to work but would it surprise you that science in many instances actually defies the so called scientific methodology ?! There have been many critiques of the scientific establishment and the corruption that exists within it and if you doubt that then go and look into it for yourself . An article that i read on the subject a few years back stated that science/scientists can reach pretty much any conclusion you want ! There’s been much criticism of the scientific establishment and how science is for sale and will reach the conclusions that suite whomever is footing the bill ! What does this tell you about science ? It tells you at the very least that one should be skeptical of science & scientists . As far as finding you a ” credible ” source about meat consumption and the various problems it can cause , what’s the point ? Your obvious biases towards meat consumption will cause you to process information deferentially anyway and will prevent you from considering you may be wrong . One must ultimately decide how one is going to eat or train or anything else for that matter . logic/reason/common sense is how i go about deciding what course of action is the best based on facts/truth , but be aware that facts & truth aren’t the same thing . Facts tell you what but they don’t tell you why ! And i’ve found that those who possess the most facts possess the least truth . Clearly I could be explaining my perspective better here to aid your reading comprehension. That said I find it hard to believe that you’re not being deliberately obtuse. You’ve gone to great lengths to try to dismantle my points on semantics alone without actually addressing the points directly. Coupled this with the fact that we seem to have a different understanding of the words “facts, truth, science” and “opinion” unfortunately leads me to believe you might not ever understand my point of view. Not knowing that you are wrong is one thing, not knowing why you are wrong is quite another. Just to surmise, meat doesn’t “acidify” the body, you don’t even seem to be able to define that concept let alone explain it. That’s where this ridiculous conversation started just to remind you. I read your comments very carefully and responded to them in kind . It’s interesting that you accuse me of being deliberately obtuse when in fact it’s you who come across as very rude/obtuse . I’m not arrogant and i do consider that i could be mistaken however you don’t seem to do the same . You constantly condescend & talk down to me telling me i don’t understand this & don’t comprehend that as if i’m stupid or something . I know how to read & comprehend however you want to insult me because i don’t agree with your stance on nutrition for example . You did in fact contradict yourself in your previous comments to me and i did rebut your points or at the very least call them into question . And if what i’m saying is so ridiculous to you why keep engaging with me ?! A fantastic interview Lawrence, Ann-Marie certainly has a wealth of knowledge and experience combined with such a wonderful personality. I’m sure Greg would be extremely proud of her efforts since in untimely passing. Yes Lawrence as you mentioned in the podcast, I have been following a ketogenic ‘diet’ for just on 3 years now as I have prostate cancer. I also do a BBS type workout once a week. Was doing it twice per week but found once per week worked absolutely fine for me. I also keep very active and still work full time in a hands on supervisory role. Has the exercise and diet regime worked for me? Absolutely! I have an abundance of energy, have maintained both muscle mass and bone density and I’m not on any ‘mood enhancing’ medication to help me through some of the tough periods I have faced over the last 5 1/2 years. There is also a current line of thinking that cancer is not a result of gene mutations or the like, but is actually a metabolic disease, pure speculation at this stage, but there are clinical trials taking place. My oncologist would argue that the medication I’m on is keeping the beast at bay, and to a point i would agree its helping. But within 3 months of starting the keto protocol my PSA dropped like a stone and has remained pretty much undectable ever since. At my last visit he told me he didn’t actually care what I was doing, just keep doing it as your results are amazing and you look fantastic, I’m more than happy with that, a far better scenario than the one I was facing at the very beginning that’s for sure. Thank you Malcolm. Really appreciate the kind words. It was an honour and a privilege to have Ann-Marie on to talk about such things. Thank you for sharing your story publicly in the comments. You’re an inspirations and I’m incredibly happy to see you doing so well. I’ve also read claims about cancer, or most cancers, being a metabolic disease, and it seems likely based on the mechanisms that I understand cause most cancers. This is the interview that I have wanted to hear for years. 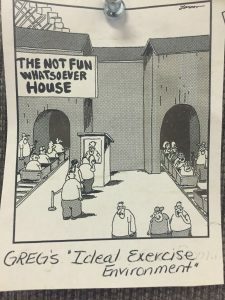 I think Greg’s verbal techniques were influenced by Bradley J. Steiner (according to the Dave Durell interview that I listened to 5-10 times).